SINGAPORE: The Singapore Land Transport Authority (LTA) has called for tenders for the design and construction of tunnels and associated facilities for Singapore’s end of the high-speed rail (HSR) project connecting with Kuala Lumpur, The Straits Times reported today. According to the online news, construction was expected to start next year. “We called the tenders for the design and construction of twin bored tunnels and associated facilities on April 6, and the design and construction of cut and cover tunnels leading into the Jurong East terminus on April 11,” said the report, quoting an LTA spokesman. The report said the tunnels would be constructed using tunnel-boring machines, the preferred method for long stretches of underground excavation as they cause less disturbance to surface utilities, buildings and structures. The LTA said the remaining civil tenders would be called in the coming months, and construction was expected to commence next year. Comparatively, cut and cover tunnels were constructed using retaining structures, and excavation were done in stages, suitable for shorter distances and in open areas with fewer surface utilities, buildings and structures. Cut and cover tunnels would be more suitable for larger underground structures, such as the tunnel leading to the Jurong East terminus, said the report. “We remain on track to commence the Kuala Lumpur-Singapore express service by 2026,” the spokesman reportedly said. 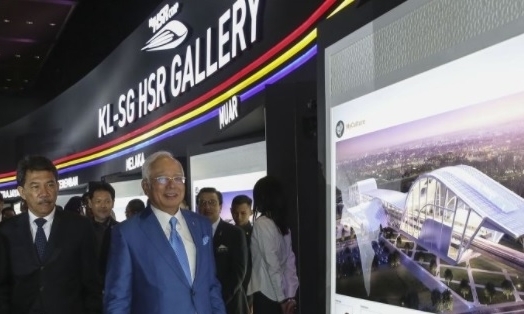 The 350-kilometre Kuala Lumpur-Singapore HSR is expected to cut travel time between the two cities to 90 minutes.